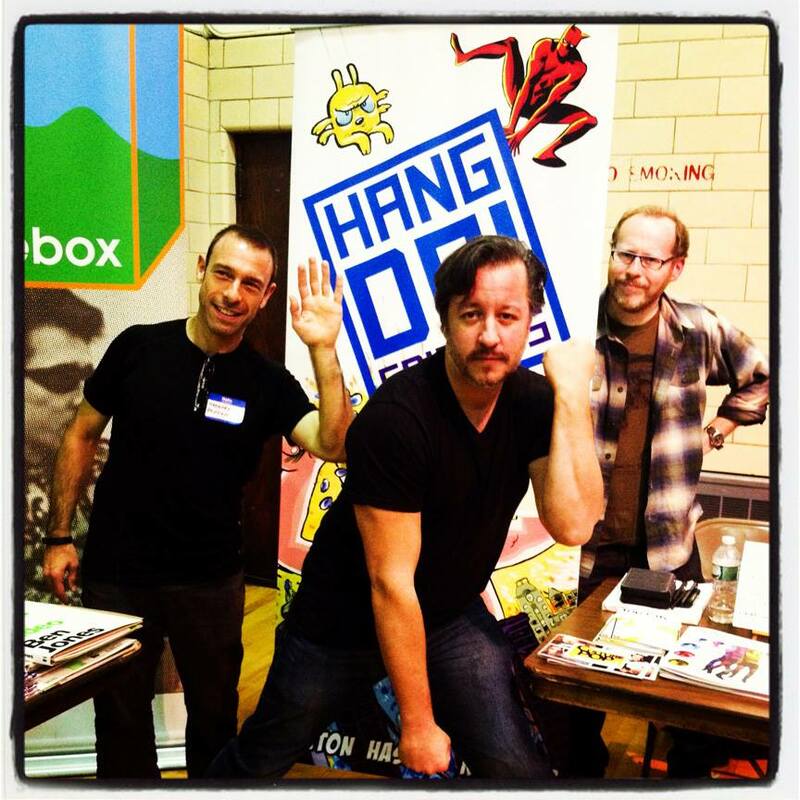 We had a fantastic time at Comic Arts Brooklyn this past weekend. Our day was filled with looking at inspiring work, having great conversations and being surprised by all the old friends who showed up at our table, out of the blue. We were thrilled about the interest folks had in our new imprint, HANG DAI Editions. Thanks to everyone who came by and supported our efforts. Thanks to Hannah Menzies for covering our debut for Bleeding Cool, and to Beth Scorzato and Calvin Reid for focusing on us in the Publisher’s Weekly article on CAB. This all went a long way in helping us build a buzz for our new imprint. Thanks to Gabriel Fowler for organizing an excellent show. Thanks Christa Cassano for helping with the booth and to her and Jess Ruliffson for bringing us dumplings. This entry was posted in Uncategorized and tagged Comics Arts Brooklyn, Dean Haspiel, Gregory Benton, Seth Kushner. Bookmark the permalink.